What do you do when you’re uninspired? I know every artist has times when inspiration just isn’t there….or, it’s there, but the cares of life overshadow any creative impulse. The recent death of my mother and other challenging circumstances have found me in that place. And yet, I am an artist. To not create feels like being absent from my very self. To not create means that the darkness wins…and I’m not about to let that happen! 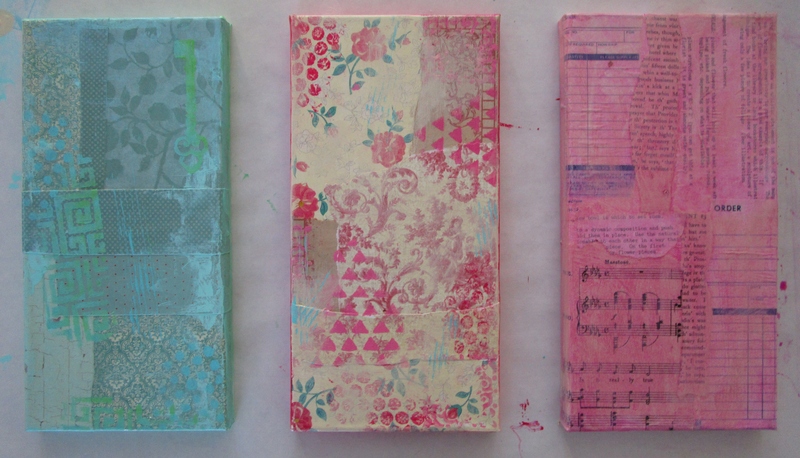 So, without much enthusiasm, I took advantage of a New Year’s Day sale and signed up for a series of mixed media workshops by Christy Tomlinson. I decided that I could go through the steps and learn some new techniques. It wouldn’t require inspiration to follow directions and make something. It took me three days just to get the base layer on these three canvases. The next step was to add some paint and pattern to the backgrounds. The 3rd canvas only has a layer of watered down Golden High Flow Acrylic at this point. 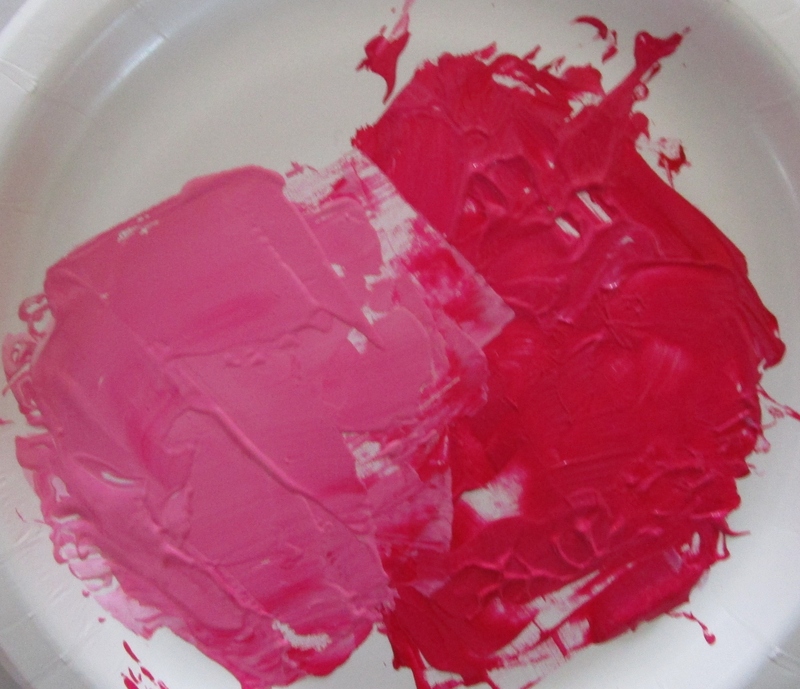 It did thrill my eyes to open a jar of Primary Magenta and start mixing color. Christy Tomlinson’s She Art Workshops are all about creating whimsical girls and giving them inspirational phrases to convey a message. To be honest, I’m not very good at following directions. In the middle of the first tutorial I felt the need to do my own thing. 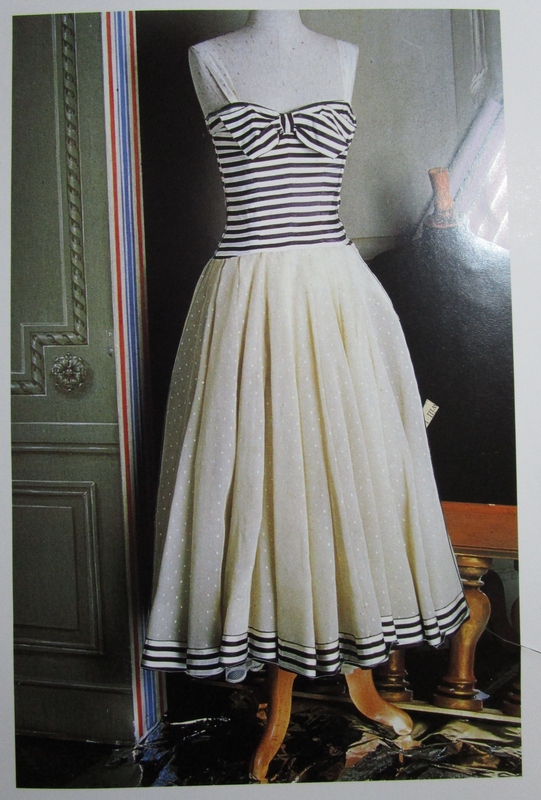 Rather than following Christy’s lovely instructions, I wondered how it might work to interpret images from an old Chanel fashion book. For the figure, I’m using book pages from my pre-1900 copy of Pilgrim’s Progress by John Bunyan. It was one of my mom’s favorite books, and I purchased this copy a couple years ago. It seemed like a special way to honor her memory. That’s as far as I got today, but it felt great to start working again. Hi Melanie, sorry about your loss. I too lost my Mother, February of last year. The pain still feels fresh until now. I know it will not go away but in time, it will be dull. How did I know, my Dad left us in 2006 and I was his caregiver for the last 8 months. I will include you in my prayers. Thank you again for your thoughtfulness, Carrie. I’m sorry for your loss, as well. I lost my dad in 2001, so can relate to you in that way. I’ll pray for you, too. What you are doing is a very very good start to recovery. Baby steps in in no time you will be able to get back with everything artsy. Your post is such a breath of fresh air for me. I have been wanting to make something of what Christy Tomlinson is known for but haven’t had the time. Maybe I could include one girl this year. Thank you for the inspiration! Thank you, Carrie. I appreciate your encouragement and kind words, as well. Have a great day! Actually I was just writing about that on my blog. I become a crazy cleaning person until I eventually find a clear space and then I will choose something small to play with…something that is seemingly unimportant and then it doesn’t matter if destroy it in the play. I’ll make sure to read your post about that, Cheryle, and I can relate to the “crazy cleaning person” idea! Have a great day. It is a lovely way to honor her memory! 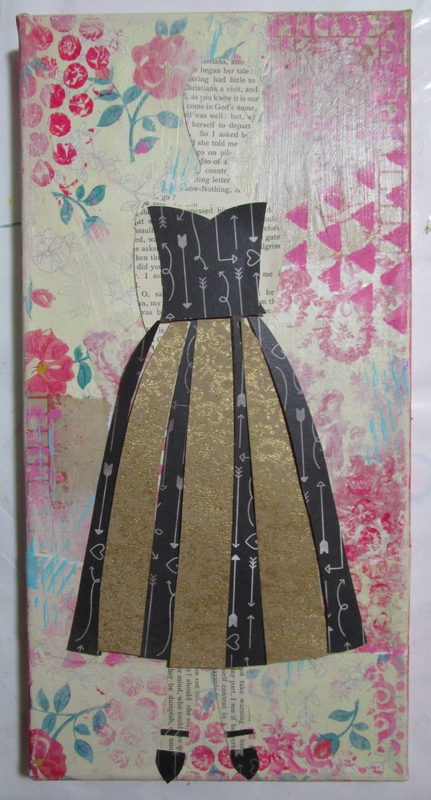 Looking at your wonderful collaged canvases makes we want to get out my canvas, papers, and glue and start collaging! Thank you! 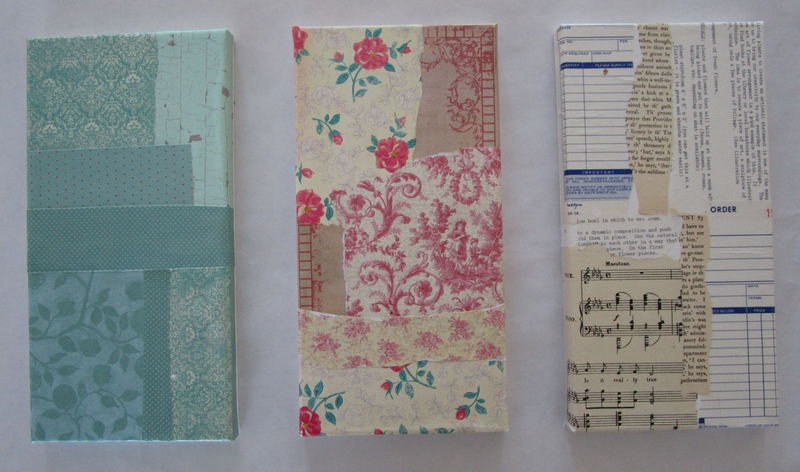 It is therapy to work with paper, pattern and glue! Thank you, Debi. Blessings to you, too!